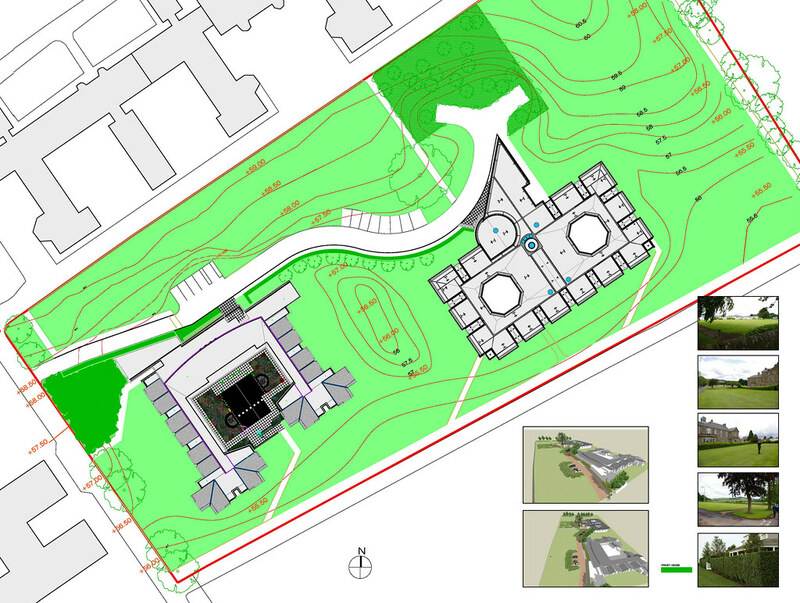 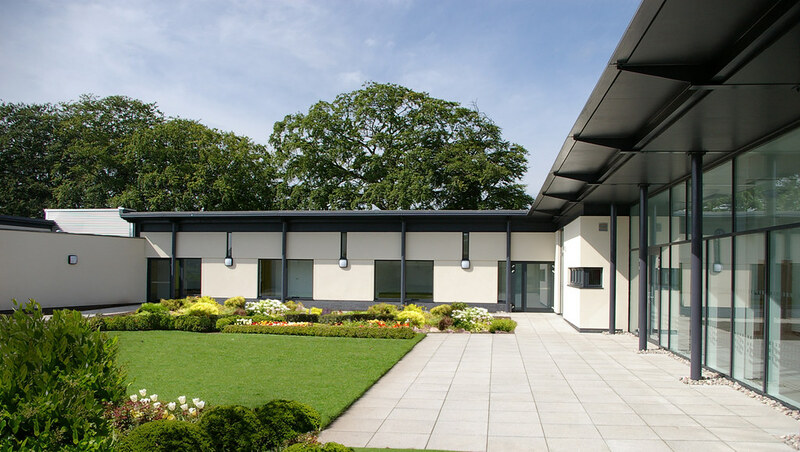 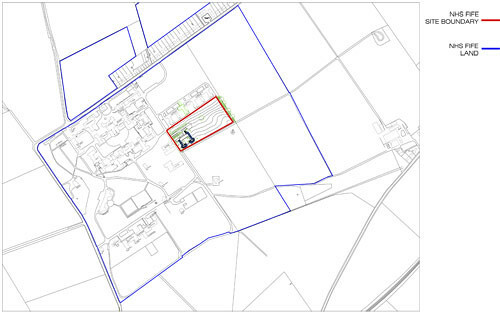 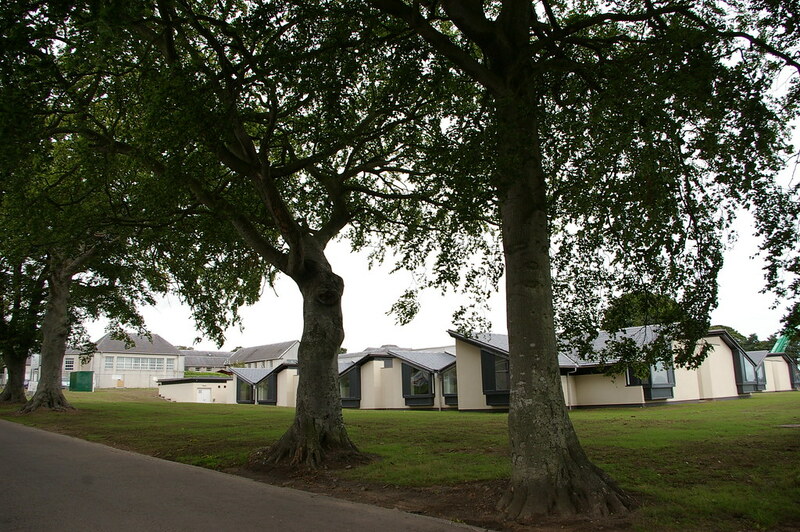 The proposal is to provide a low security residential dementia unit in the grounds of NHS Fife Stratheden Hospital. 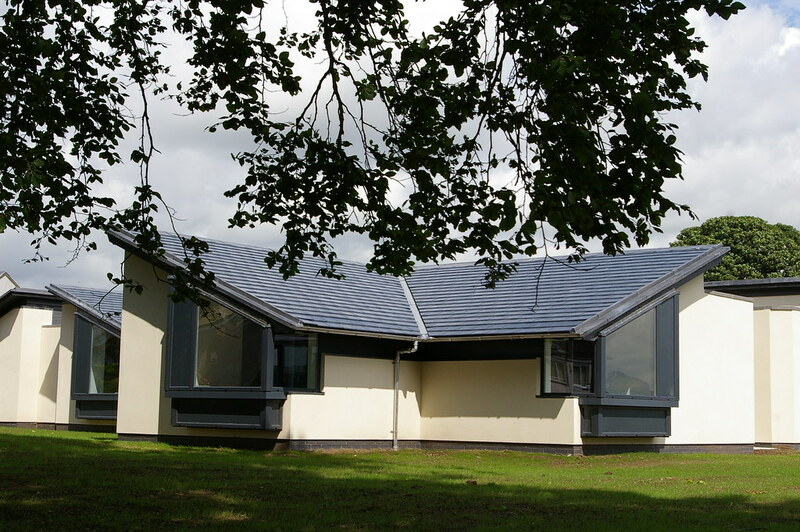 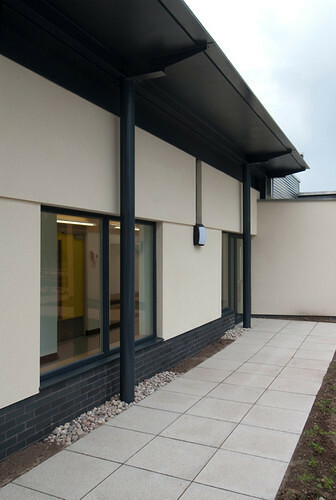 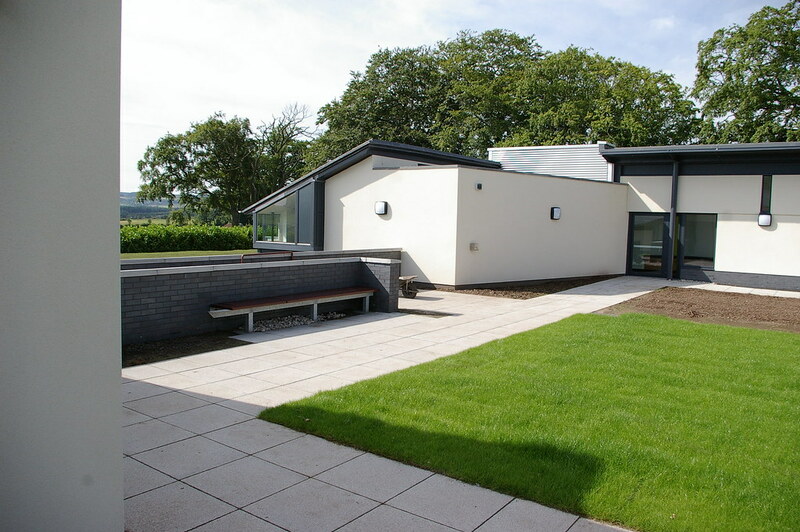 The accommodation consists of 18 single bedrooms with en-suite shower rooms and associated accommodation both for patients and staff. 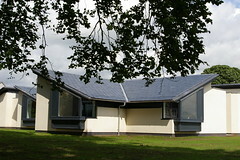 The building is single storey with a U-shaped plan. Bedrooms are split into the two wings and the communal facilities located centrally. 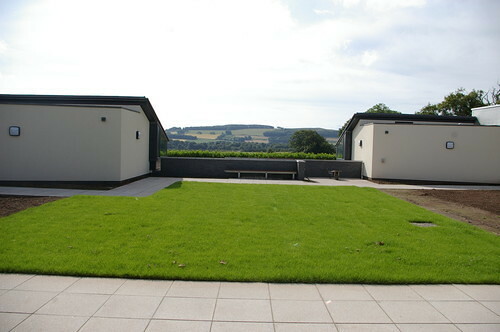 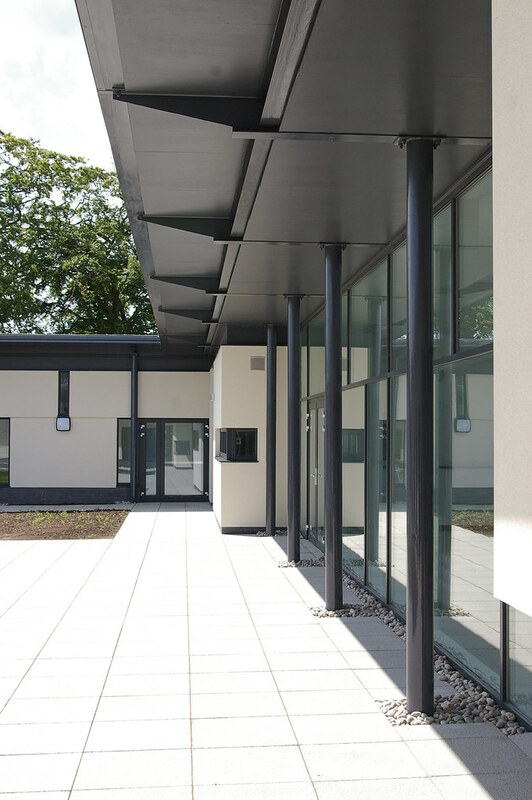 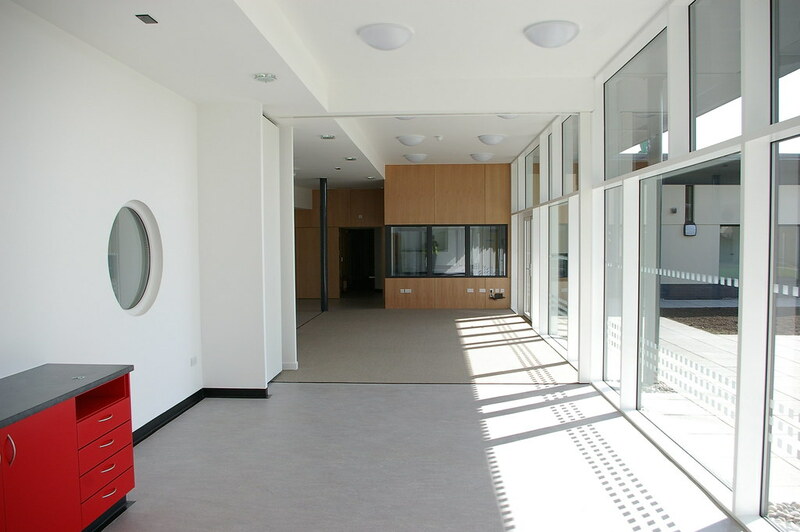 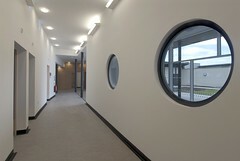 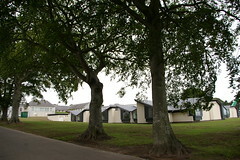 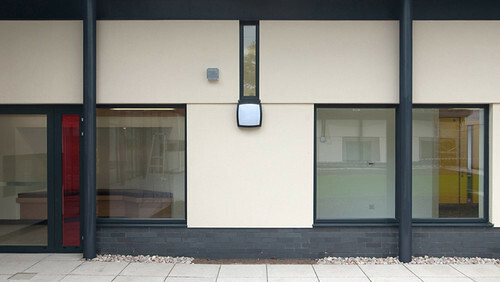 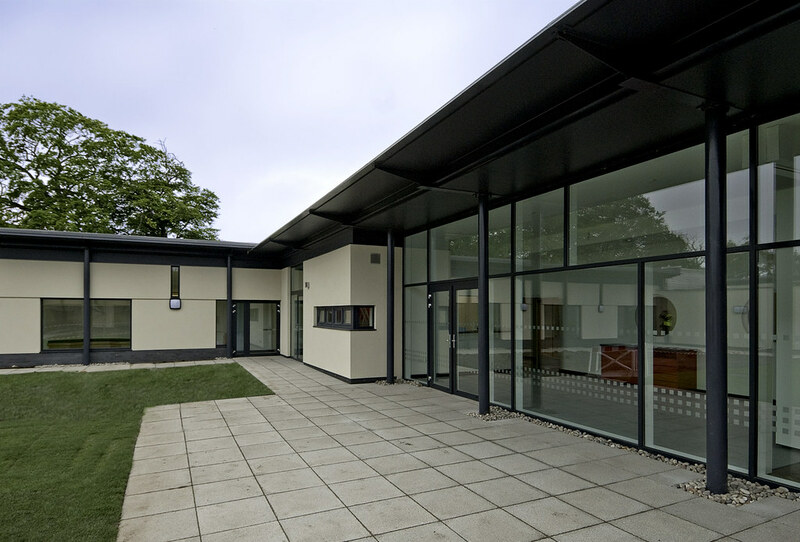 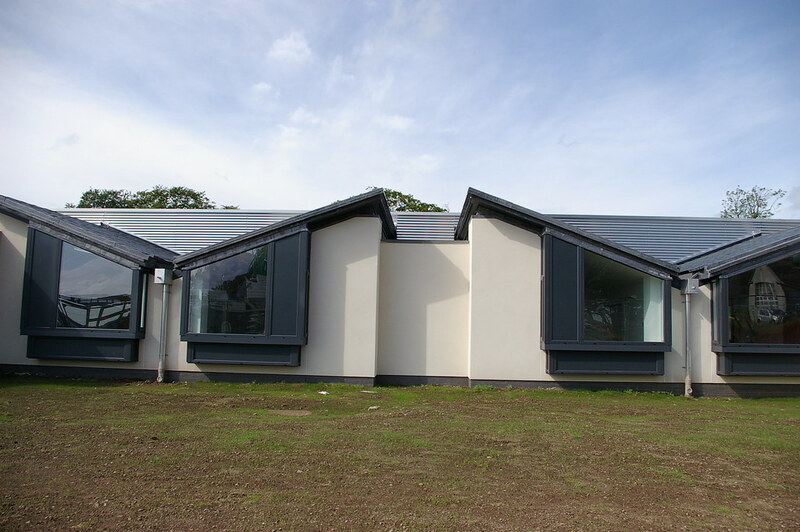 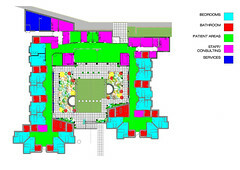 The whole building focuses on a south facing secure garden for patients with the southern edge of the garden walled and framing the view south towards Walton Hill and White Hill. 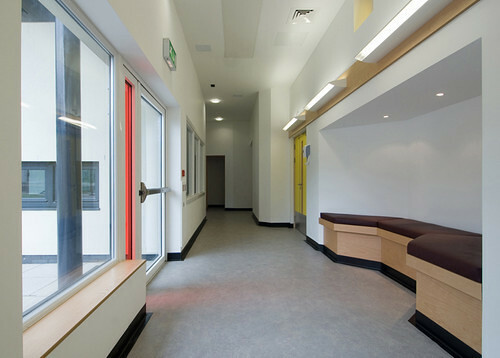 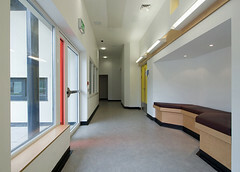 The design allows for patients to wander freely around the building and into the secure sensory garden. 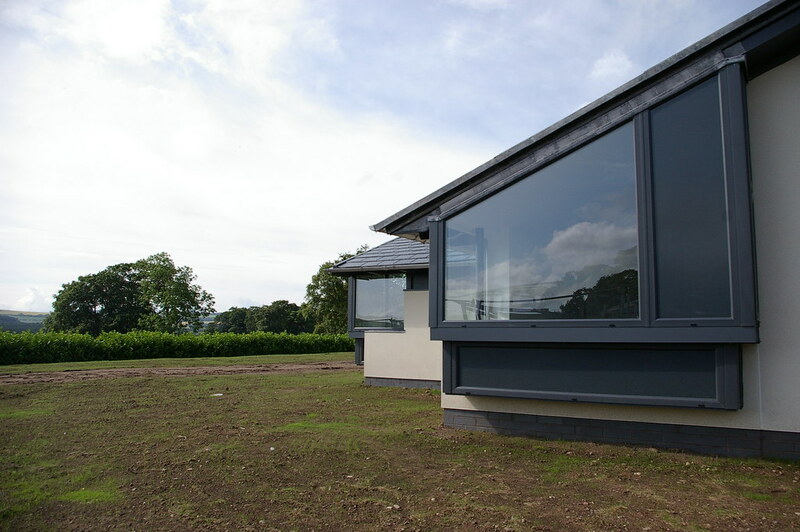 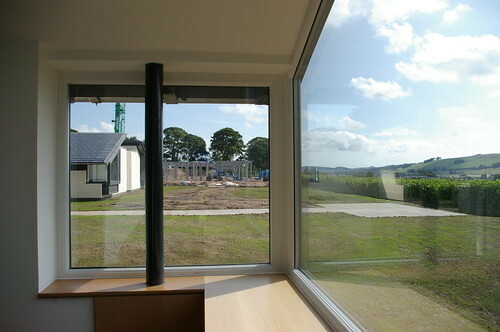 Each bedroom has a bay window with views out into the grounds of Stratheden. 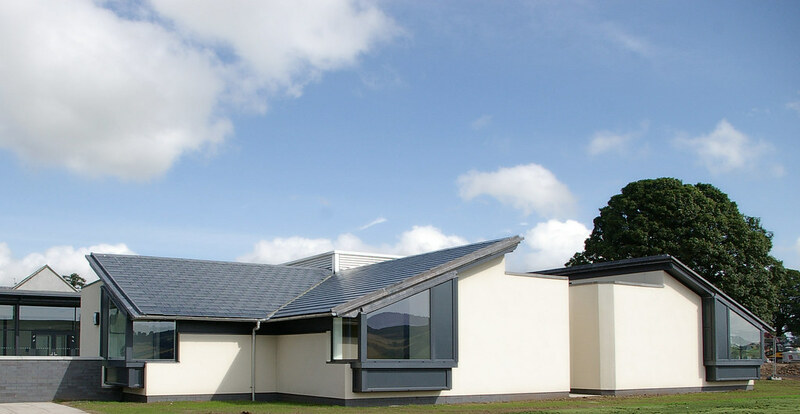 Secondary light comes into each individual room via a roof light located below the pitched roof ridge line. 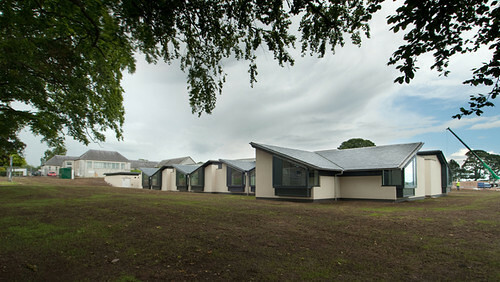 Each bedroom is identifiable by individual pitched roofs giving the patients a sense of their own identity within the building. For many patients this will be their last home. All the other accommodation and circulation areas have flat roofs at different heights. 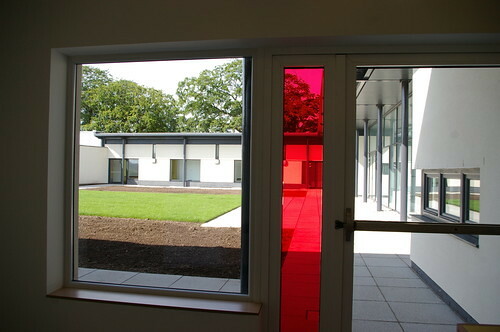 The circulation around the garden has small alcoves with built-in seating for patients to stop and sit and look out into the garden. At the ends of each wing are a cluster of 4 bedrooms, assisted bathrooms and a quiet room, one for women and one for men. 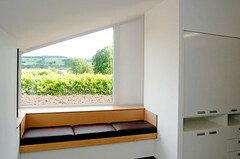 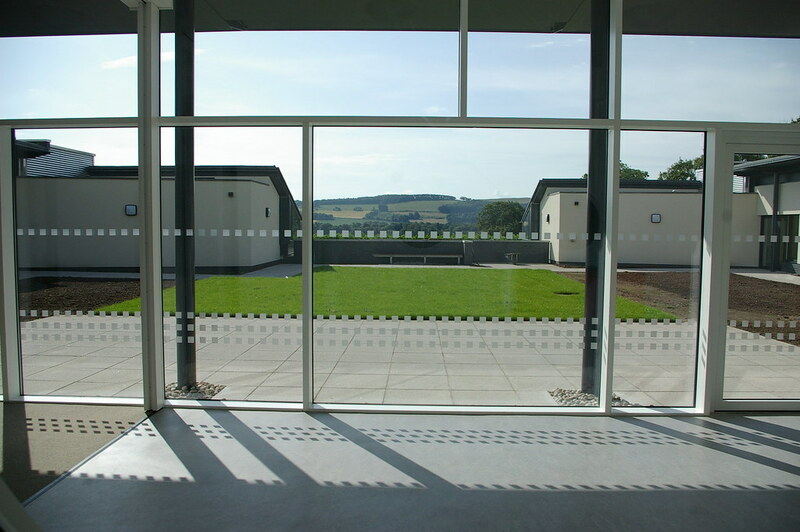 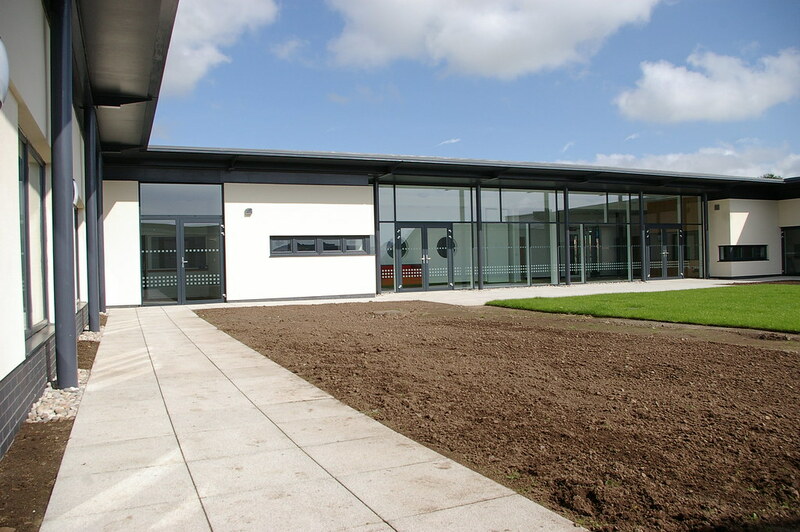 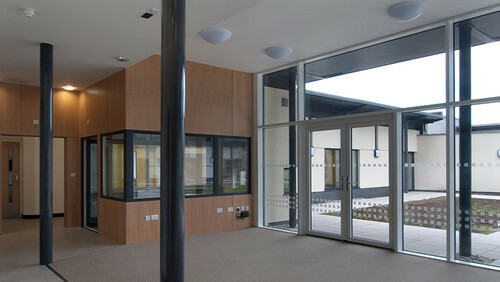 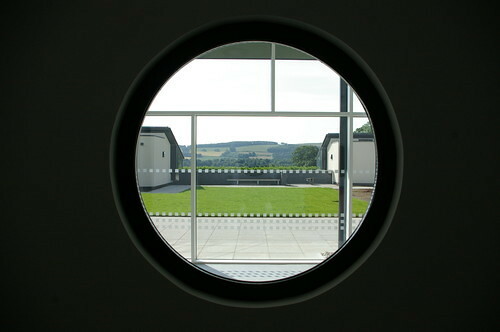 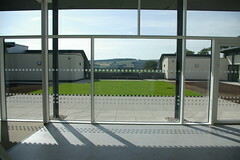 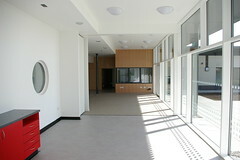 These rooms are south facing and give views into the hospital grounds and the golf course and hills beyond. 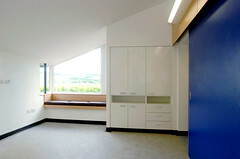 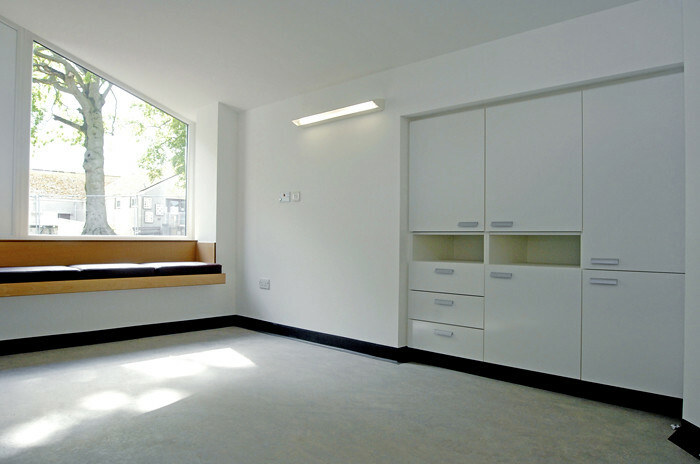 These rooms also act as a destination for patients who can wander aimlessly. 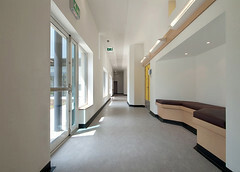 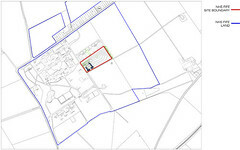 The project was completed in June 2009 and has been planned on site so as to accommodate a similar facility adjacent to it and a third building at the east end of the site.